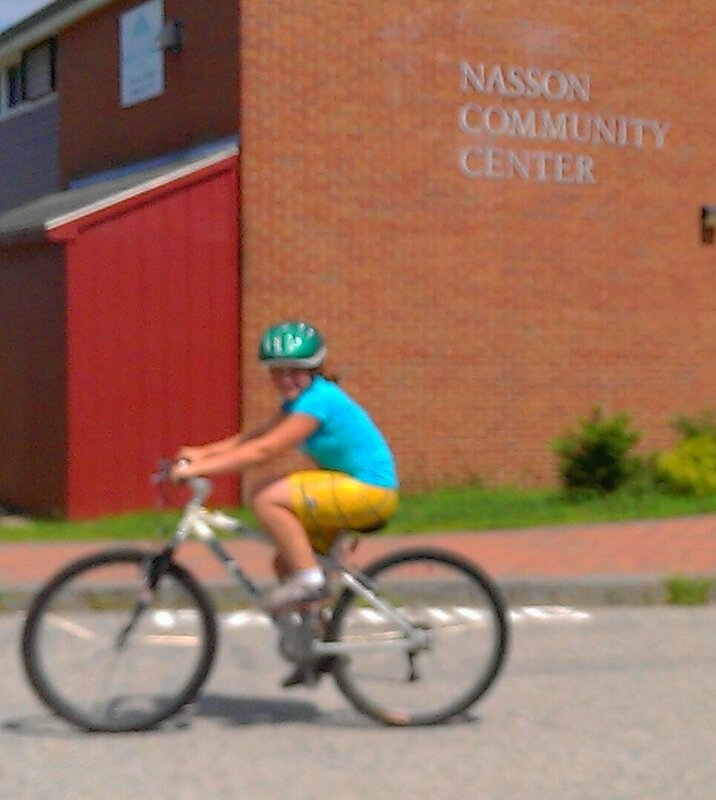 Nikki and Tabbi have been regulars at the Nasson Community Bicycle Center for the past month, rebuilding three bikes for our bike center and going on our girl’s ride. 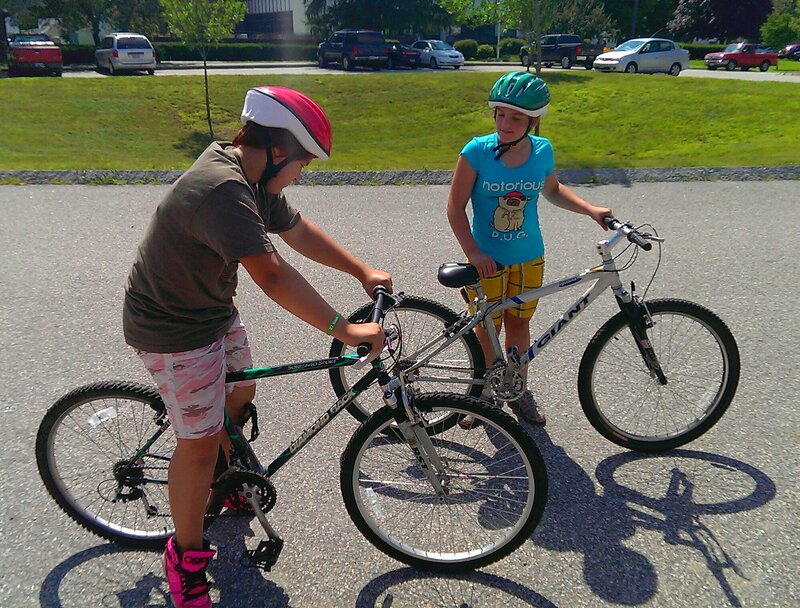 Wednesday was the day for the girls to pick out their own bikes. We started by making some final adjustments, then it was road test time. 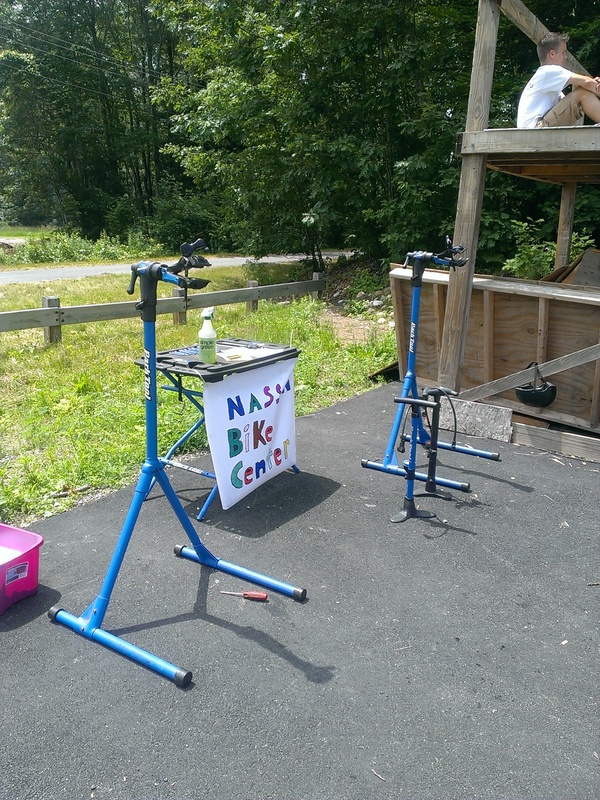 The Nasson Community Bicycle Center congratulates two resourceful girls and wishes them many miles of happy riding! 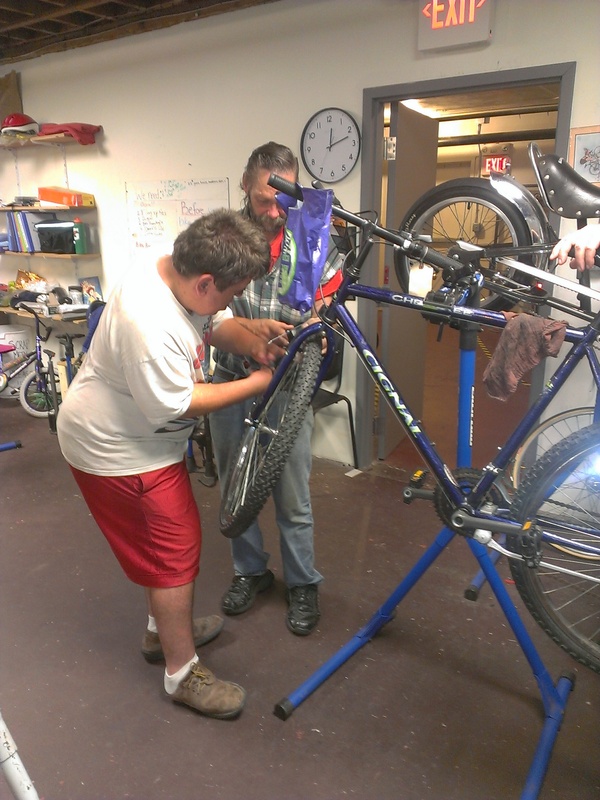 Dylan came to the Nasson Community Bicycle Center with his friend Jake to rebuild a bike for himself. Dylan brought along his Dad, Don, to help with the project. They soon rebuilt a silver Cignal BMX bike with coaster rear brakes as Dylan has limited functioning with his hands. Next up was a bike for Dad. Dylan and Don rebuilt a Cignal mountain bike for Don to ride. Don’s Ford Ranger had a water leak, and was temporarily out of commission, so the mountain bike is good transportation. 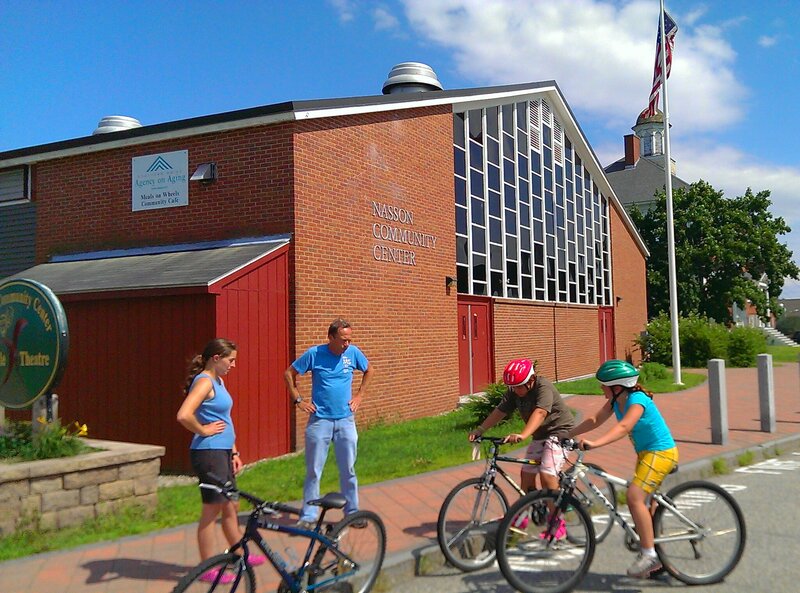 The Orange mountain bike is easy to spot alongside the silver bmx bike rolling along Route 109. Next up was a mountain bike for Jake’s dad, and the pair are nearing completion of a bike for Harry, a friend and volunteer at the Nasson Community Bicycle Center. Dylan and Don have been coming to the shop almost every day since they started, and its been great to see them working together! 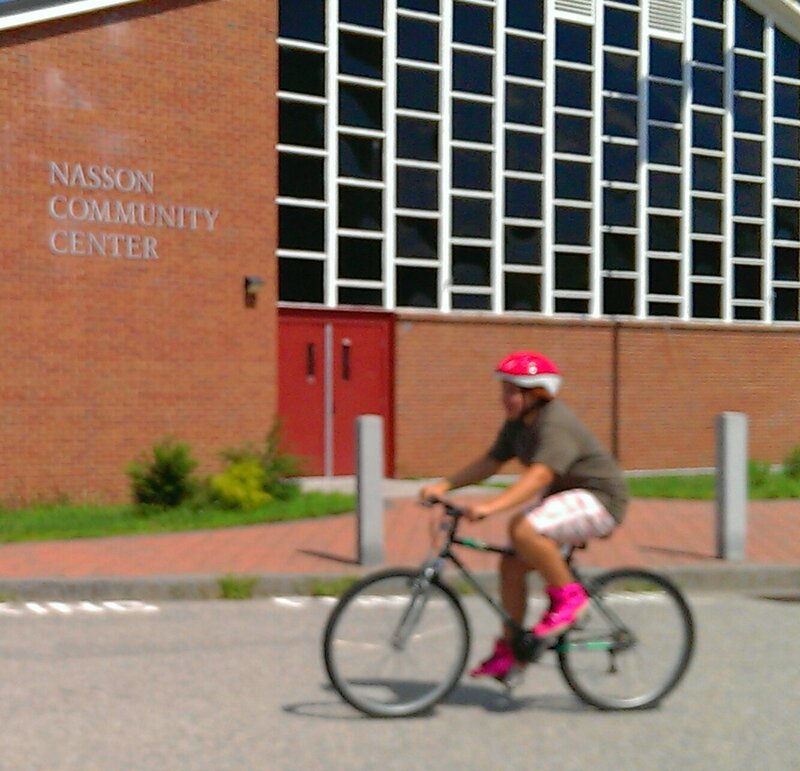 The Nasson Community Bicycle Center heading into the community this summer. On alternating Wednesdays we will be at the YMCA Skate Park and Carpentier Park at the noon hour. We will be making basic repairs and adjustments. We received many thank yous at the skate park yesterday, which is much appreciated, and saw some pretty wild moves. Thanks to Peter Brown, who donated a bag of reflectors and some primo mountain bike parts. Also Eric Follen dropped by our shop with some magazines, pedals and shoes. Eric and Peter a re both Maine Coast Cycling Club members.Thanks guys!